As promised today, Marty of A Stroll Thru Life is hosting her fall tour series again and I’m so happy to be participating again today. And I’m wishing a warm welcome to everyone visiting from Remodelando La Casa. I’m sure you all enjoyed Christina’s warm, cozy and beautiful home. It’s really hard for me this year to get into the fall mood with this lingering heatwave we have and I’m still hanging on strong to summer. But I sure will be happy to have skiing season back soon again too. I mostly try to decorate a little bit for fall for my kids and husband. And once it gets cooler out I will be in the mood too. I’m just really really tired of the standard fall decor at the craft and home decor stores. I feel over stimulated with the orange, brown and corn colors. 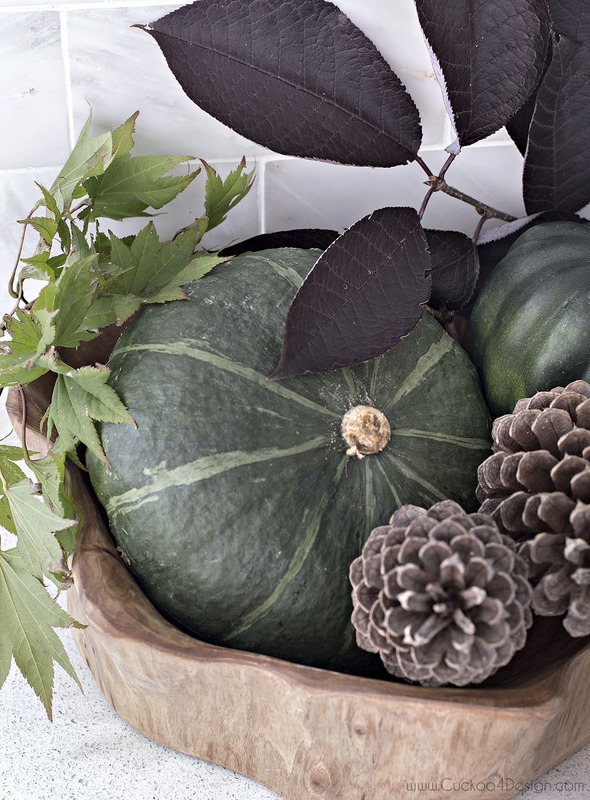 Because of the lack of fall in the air, I kept my decor to a minimum and mostly used items you can find in the yard and pumpkins and squashes that I will actually end up eating. 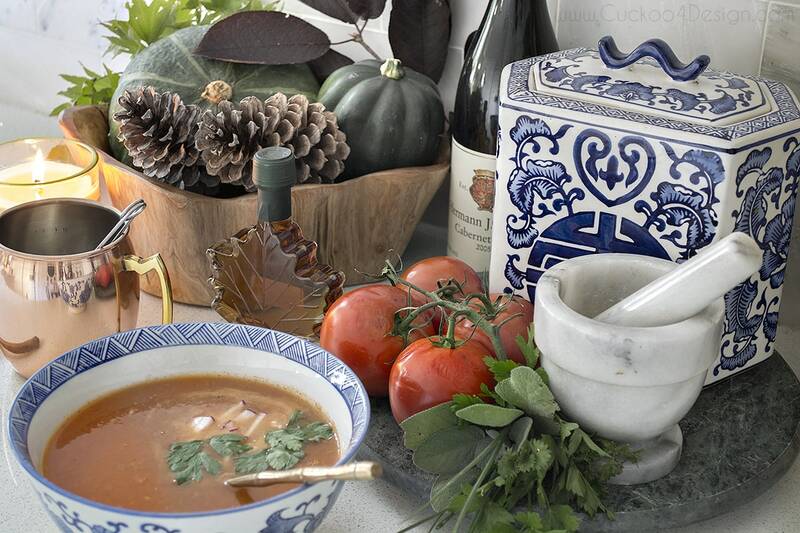 One of my favorite things to eat in fall is homemade soups. My son and I are big soup fanatics. So I went pumpkin shopping at the local produce shop and spotted some beautiful calabaza and acorn pumpkins/squashes. They just happen to be in the right shade of greens and cream to fit my decor. My all time favorite “end of the summer” soup is tomato soup. I make it and freeze it with all the overload on huge tomatoes you can buy everywhere. And it’s the simplest, easiest recipe ever. All I do for my soup is chop up a large amount of tomatoes to fit a big pot (2/3 thirds of the pot should be full with tomatoes), some chopped organic celery (Did you know that celery is one of the worst things to eat non-organic? ), one or two chopped onions and because of my daughter I add my favorite gluten free gourmet soup mix. I bring mine from Germany and unfortunately you can’t buy it here. It’s called Lutz’s and adds the perfect amount of flavor. You can click HERE to see it. Should any of you ever find it here then please let me know. If you have a favorite one here in the US, do let me know because I’m always looking for a good alternative and haven’t found one yet. This stuff is just amazing. I let it all boil for an hour and then puree the soup. Sometimes I strain it and sometimes I don’t. It depends what I feel like. A dot of sour cream, some radish slices and parsley on top and done. I love it. Or of course some home made bread crumbs taste awesome with it too. Fall is all about the feeling of wanting to snuggle. Of nesting and getting your cave aka home ready for the winter. I just want to add extra layers and believe me that after Christmas I’m ready to eliminate those layers again. Oh and remember when I bought my mom the flowering artichoke at the market in Germany? Well I’m currently trying to see if I can get one to bloom if I have it’s stem dipped in water. They were still pretty fresh, so lets see what happens. Just checking to see if you noticed the fixture change. 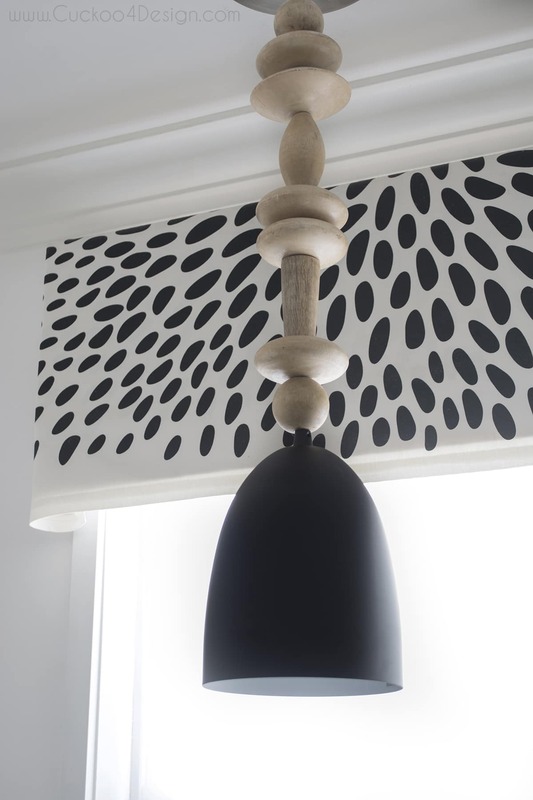 I couldn’t wait for the electrician that was MIA since the beginning of the year for the bathroom fixtures so I tried to make one of them myself with the sold out Pottery Barn beads (similar handmade ones HERE) and hung it in the kitchen. I couldn’t love it more and you can read more about it by clicking HERE. 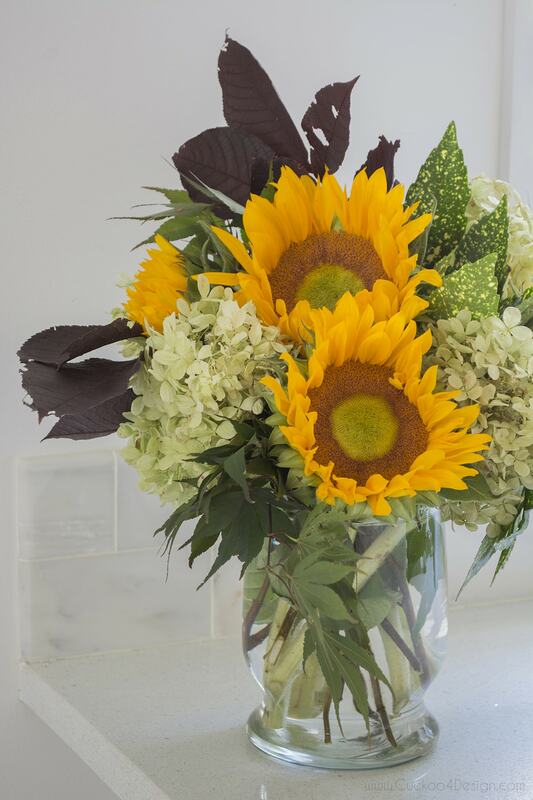 I’ve told you guys that sunflowers are some of my favorites. They were in our wedding and are still widely available where we live, so why not mix them with some other things I was able to find in our yard right now. Someone on Instagram recently commented on my living room that there are a lot of pretty elements but that it’s just too busy. I didn’t really say anything back but would have liked to say “well if you like minimalism then you are clearly on the wrong Instagram account”! 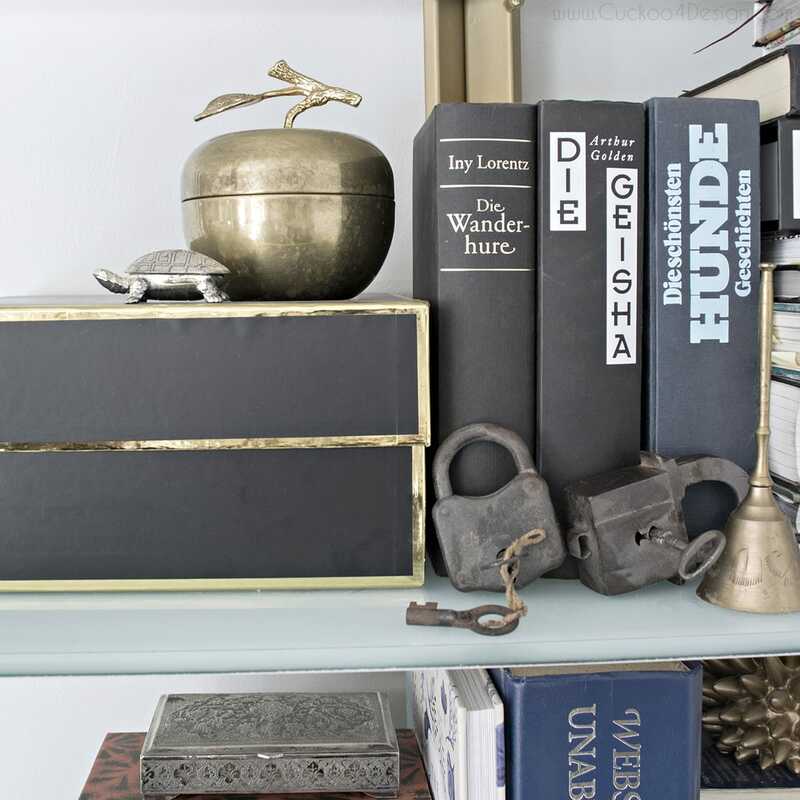 I adore so many items and have been living by the rule that “more is more” in my house. I just like too many things and they make it cozy. Believe me there is nothing wrong with purging here and there to keep it cohesive and not looking like a hoarder dwelling but I don’t want the simplistic look that I do appreciate seeing in magazines. I found the above bongo drum (click HERE to see similar ones) at HomeGoods and have been placing it all over the living room. Since my son is a drummer, he isn’t all that bad playing it either. Where do you like it better? By the end table or the book shelves which you can see at the end of the post. In spring time I had purchased the plant for this specific corner and it grew so much outside over the summer that I now think it can’t stay there anymore for too much longer even though I love it like this. The leaves are hitting the ceiling! Isn’t it pretty? I also did put some fringe trim around the pot and love the look. Might get some more for it too yet. And in case you are totally new around here, I made the curtain pattern myself which you can see in the below movie and by clicking HERE or you can buy an almost identical fabric to sew your own HERE. Are you getting sick of my horse bowl (click HERE) yet? I’m not! 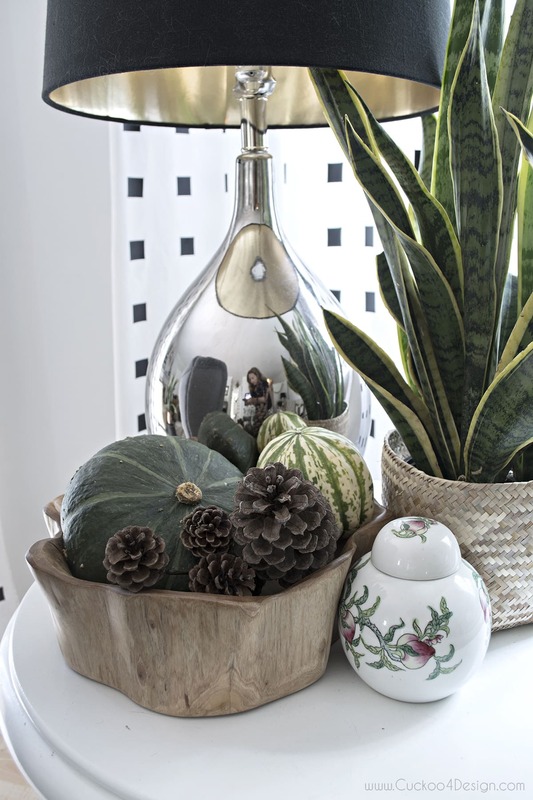 It’s still one of my favorite things in the house and instead of ripping out the faux succulents, I just added some pinecones to the mix which is the perfect change for fall and it’s free. The fireplace area changed a bit too again and I rearranged the brass shelf with some blues and of course black and white. 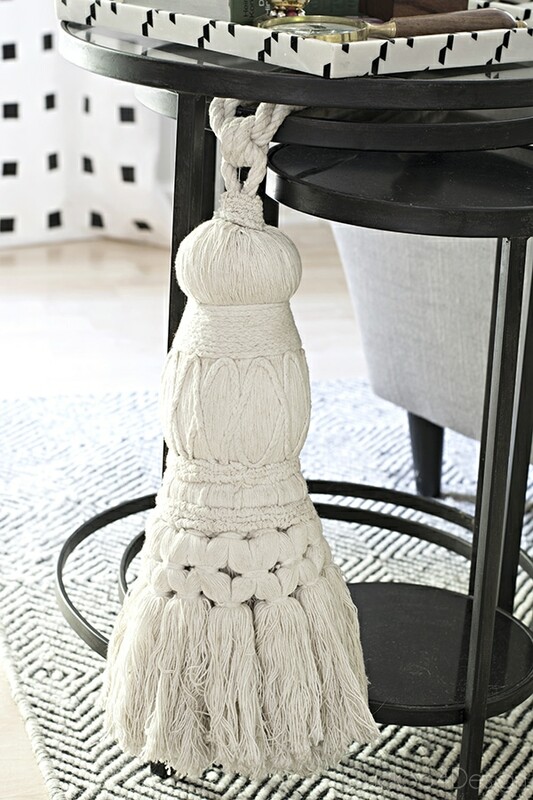 I also bought tassel trim (click HERE) to add to my ottoman and I think the added texture is perfect for fall. Inspector Lucy was on the job throughout the entire process and made sure everything was done just right! She loves to follow me around when I do my thing. And she is very vocal about it all too. She is the silliest cat ever. Remember my husband adopted her at the shelter because she was the loudest one in the place. Not because of her looks. He heard her first. I think she wants to make up for her itty bitty size. I added the feathers (click HERE) to the mantel vases. Remember I told you that they leak when you put fresh flowers in them so the feathers are perfect. 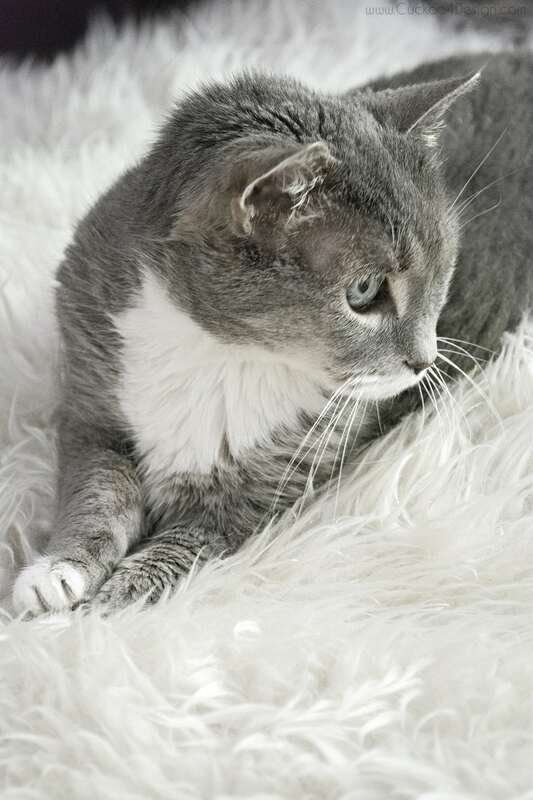 The fur rug is for my oldest cat Heidi who loves to lounge around the fireplace area. She loves snuggling on this fall layer. And I love snuggling with her right there too because I miss her as my head warmer in bed. She used to sleep with me every night and since I changed the floors upstairs she stopped coming upstairs altogether. I made the below symmetry painting on the shelf in white, blues and blacks which is very easy to do. I also uploaded it to my Etsy shop (click HERE). I don’t think you can buy the supplies for $6, can you? So downloading might be a great way to get the look for you too. Next on today’s lineup is 21 Rosemary Lane, so you can continue the loop. your home is sooo beautiful! 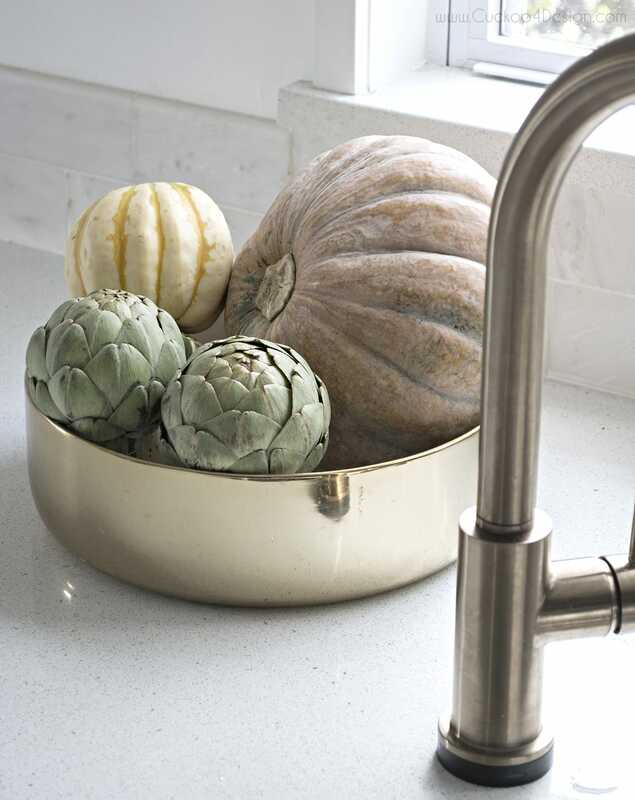 i love the simple brass vessel with the pale gourds next to the sink- so pretty! and that pendant! LOVE. your mantle is also killer this year- everything is sooooooo good!!!! LOVE! Dont change a thing…people who say there is too much stuff are not very creative (in my opinion). I get wayyyyyy toooo much stuff out…but I’m pleasing my family and not thousands of blogger stalkers!!! Love your home and I agree, love the more is better idea. 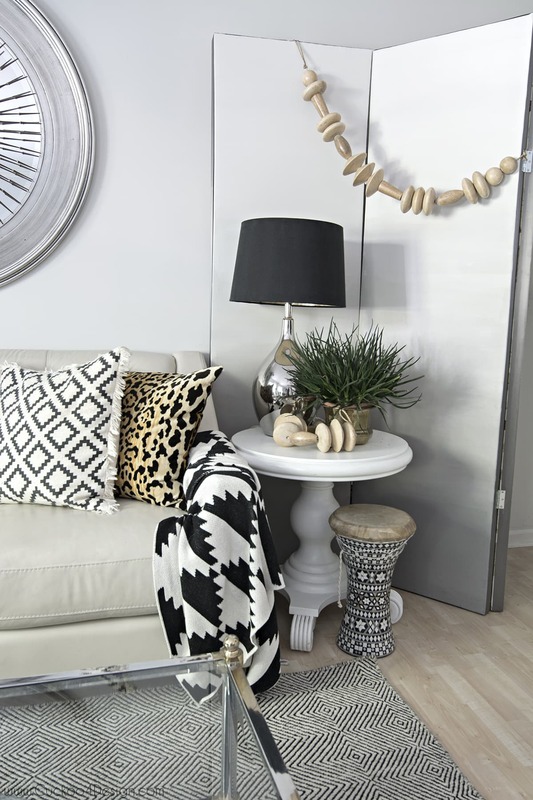 Your accessories are always such a beautiful accent to your furnishings. 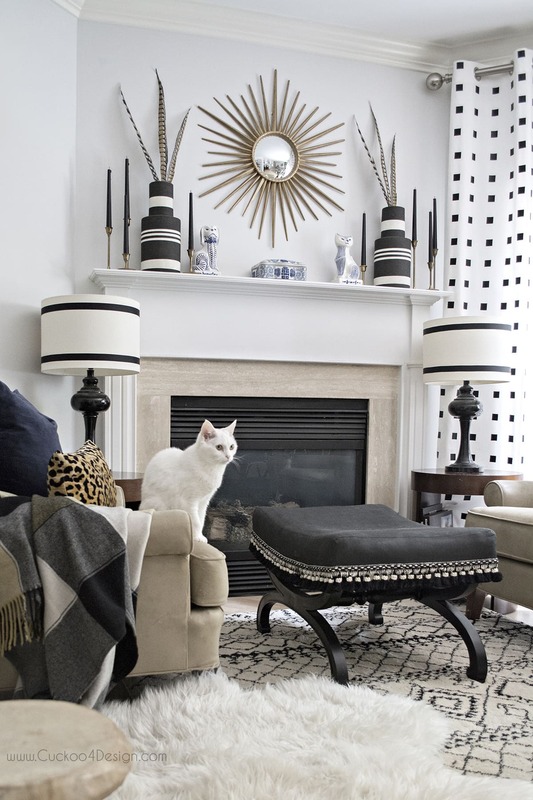 I love the drum by the bookcase and I really like the tassels on the ottoman too. Great tour. Julia that soup looks SO good! What a delight your tour was. I adore all of the seasonal touches. More is more beautifully done! We’re a family that loves soups. 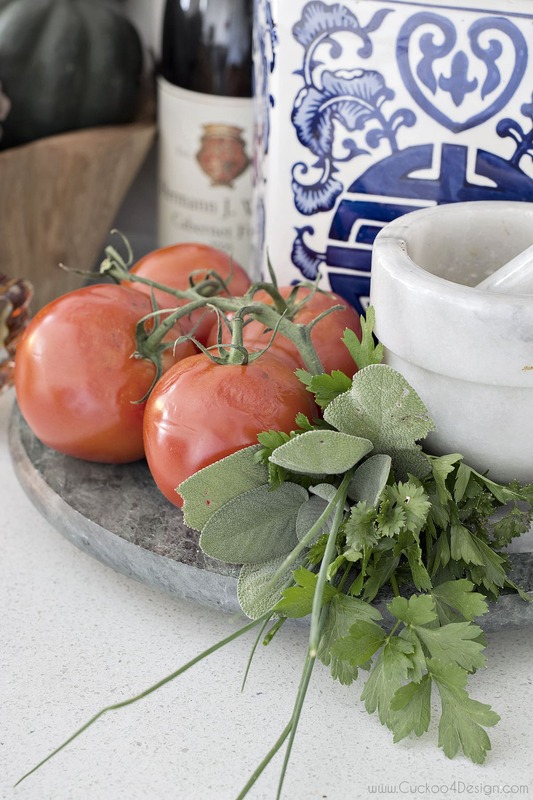 That tomato soup looks like a winner here, YUM! Saving it, and for sure giving it a try this Fall. 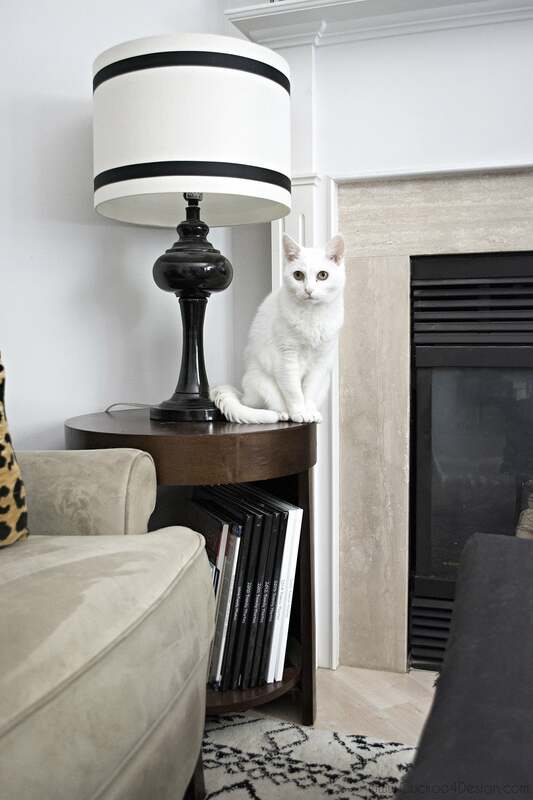 Your home is gorgeous, but your furry babies were the ones that stole the show for me. They’re adorable! Haha thanks! I think they steal the show too. Julia ~ As usual, you nailed it. I would be very happy never to see another orange pumpkin or corn stalk. I loved the painting you did but every time I clicked on the link for your etsy shop I landed on the Lutz site!! Is it just me? Nope it’s not just you. I just checked. I don’t know how that happened. Sorry about that. It’s fixed now. And thank you so much. JULIA! That pendant turned out so good!!! Seriously, I’m in love with it!! 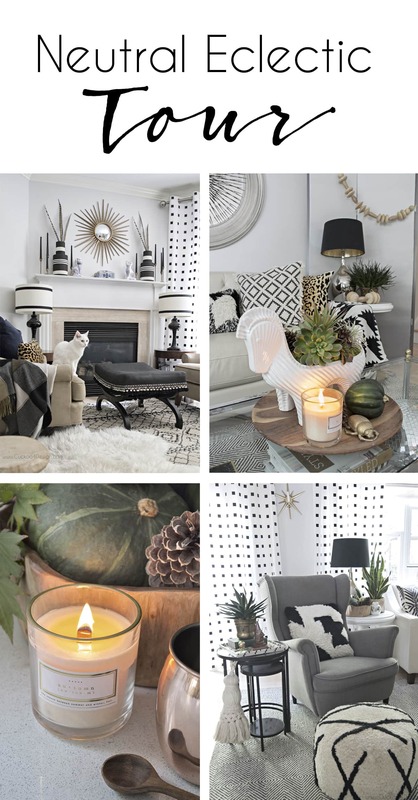 I love all the subtle Fall touches in your inspiration-filled home Julia! Just perfect! So honored to share this Fall home tour with you! So beautiful! I love all of the black and white with the pops of green! Everything looks so pretty, I can’t wait to try that soup. My boys love tomato soup so once it cools down here I’ll be giving it a go. 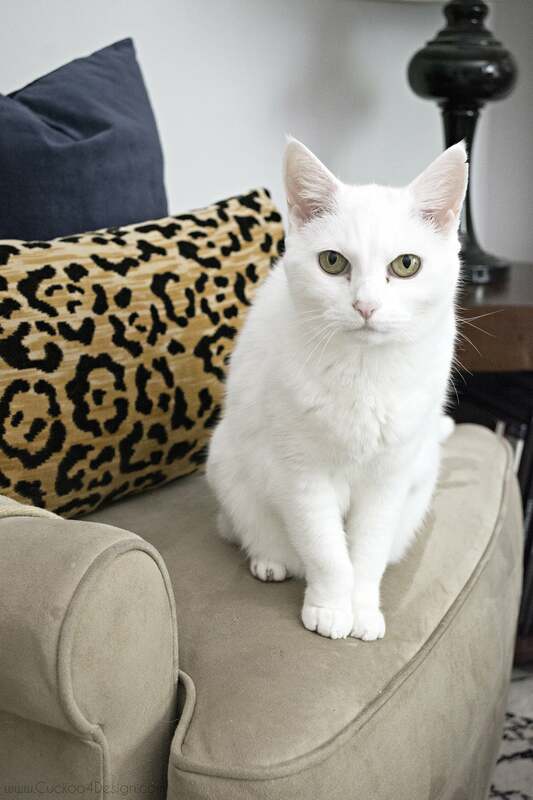 Your cats are gorgeous! THanks for opening up your beautiful home to us! Thanks Kristin. My ultimate soup addiction is Vietnamese Pho. You could wake me up in the middle of the night to eat it and I would. I’m with you on the subtle colors and forgetting the usual oranges, browns, etc. I love fall and we had beautiful temps this past weekend, however, the heat and humidity are returning today. Not fun! I can’t wait to try that soup! 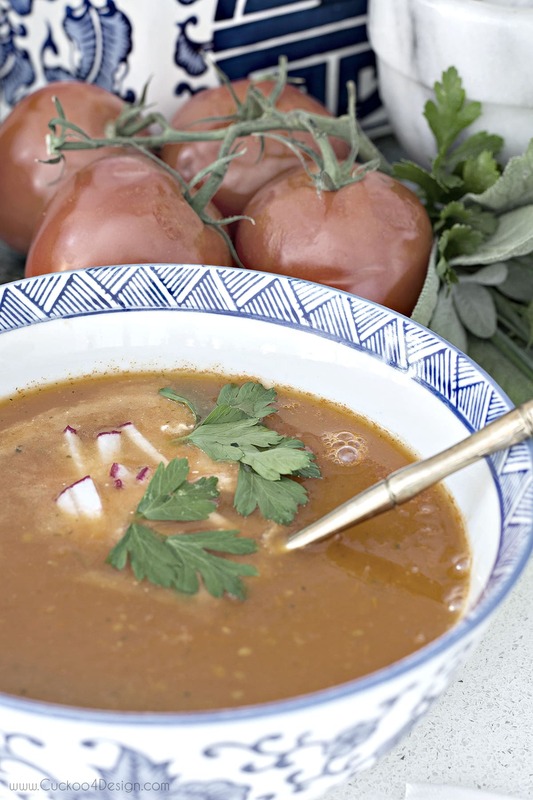 I love having soups in the cooler weather and this one is a must to try. I was unaware of the danger of non-organic celery. Thanks for sharing that info! 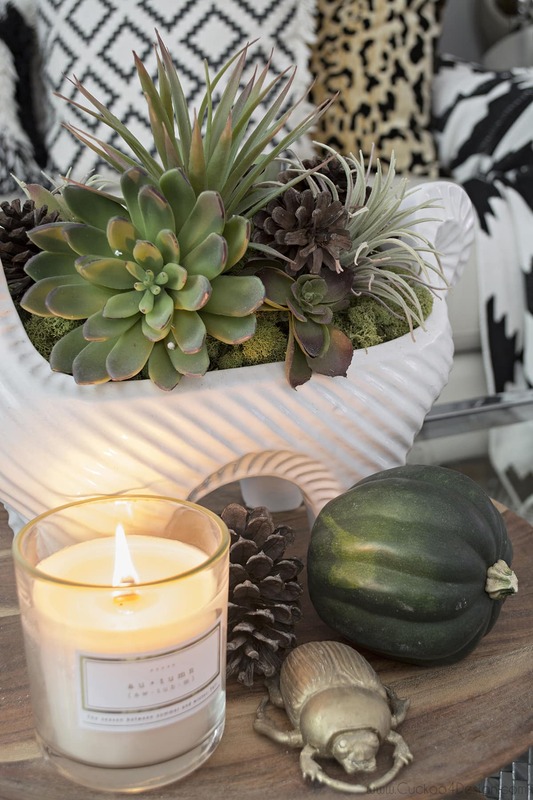 Your home is always stunning and your touches for fall do not disappoint! I’ll go along with the “more is more” too. I absolutely love black, white and gold. Thank you for opening your home to all of us! Thanks Pat, our daughter’s doctor told us about the “clean 15 and dirty dozen” of fruits and veggies and said that celery is about one of the worst things. I love celery. Oh the beads look great! And the rest of the house too! I for one, want EVERYTHING in your house, in my own house! I looooove your decorating STYLE! How do you keep it so clean? I have a 3 yr old, a 7 yr old and a 14 yr old, 2 small dogs and a Husband and my home looks like a tornado hit. 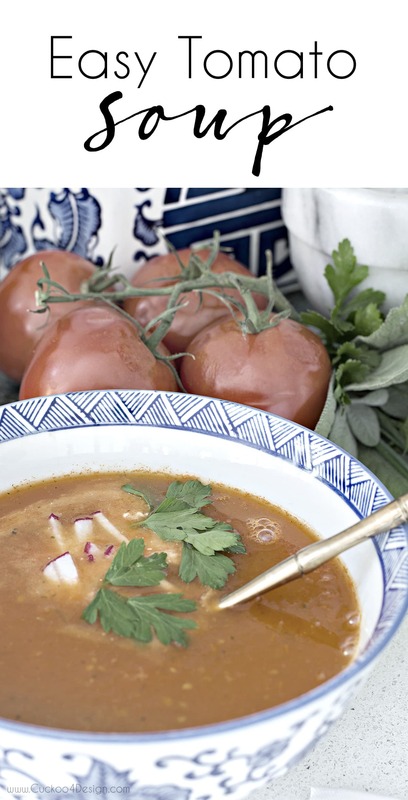 I am the only one who loves tomatoe soup, ill give this recipe a try. I eat mine with crushed Cheeze its. I too LOVE your home. It is one of my very favorites in blogland. 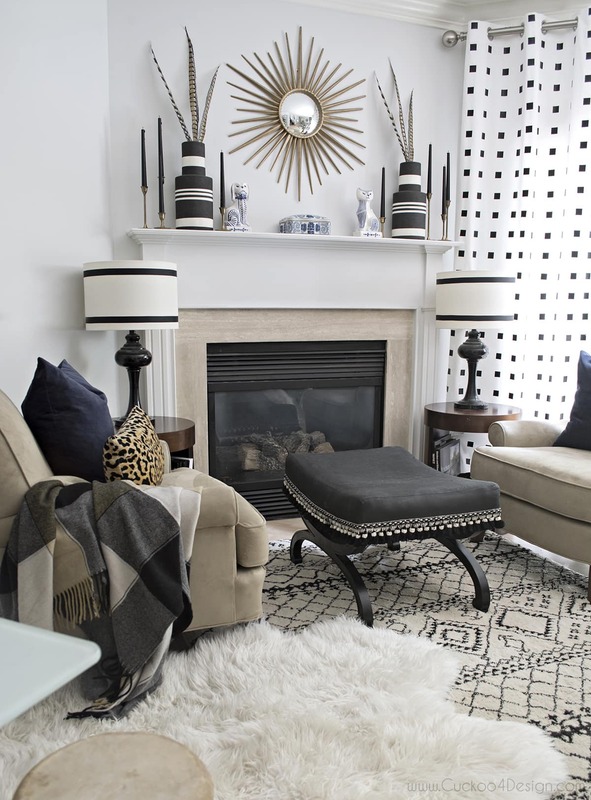 You are the master of mixing patterned neutrals and glitz, and I love it! You just keep on being you. Very inspiring! That just made my day because I’m trying really hard to be just me. Love your beautiful changes Julia, you have such a great eye for combining texture! 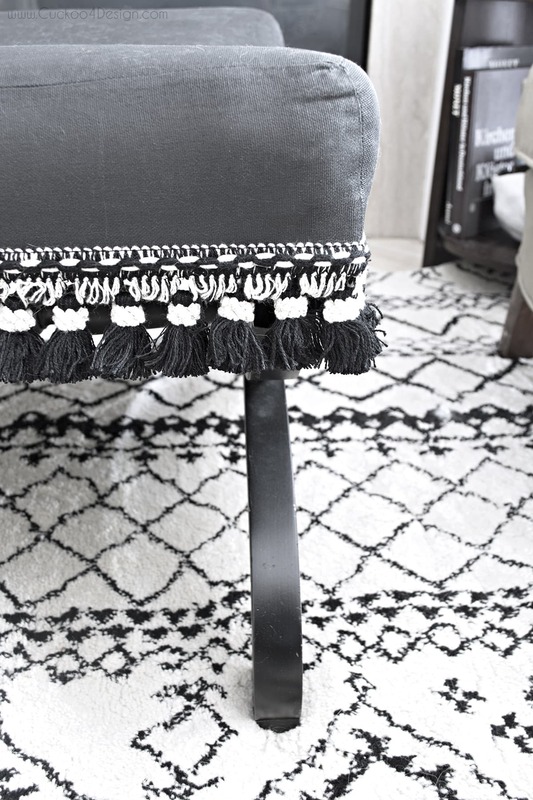 The trim on your ottoman is fabulous!! Thanks Pam, I have to slow myself down now with fringe and tassel trim. It can get addicting. Love the tour! 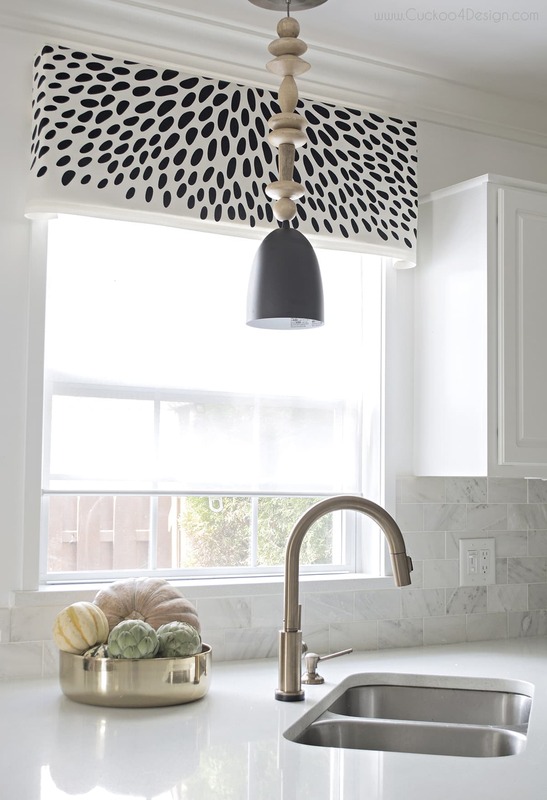 I freakin love how you added the wood beads to the pendant light in the kitchen – perfection! Those feathers in the vase are also pretty darn sweet. I can’t wait for it to finally start feeling like fall! Everything is looking great….I LOVE the new pendant!! Thanks Gretchen. No fall is in sight here yet either. So so beautiful!!! Life that you shared a recipe too! Love swapping favorite recipes, especially yummy fall soups ???????? Your home is lovely Julia! I agree that the craft store version of fall makes me want to barf! 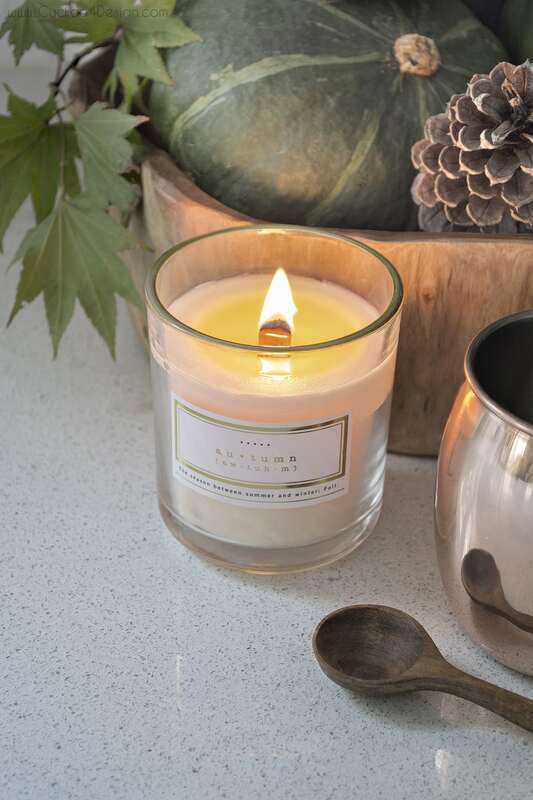 I love the subtle use of fall in your home and I am so jealous that you have fall produce such as squash available to you. It is more is more in this house as well!! Simply beautiful Julia! That pendent is stunning. And I am now totally in the mood for some homemade tomato soup. (Have a garden bursting with tomatoes for at least another week.) Love the tour. Have a great week! Thanks! Lucky you that you have a yard full of tomatoes. I don’t! My favorite used to be yellow tomatoes but I haven’t found them in a while. Good morning Julia. 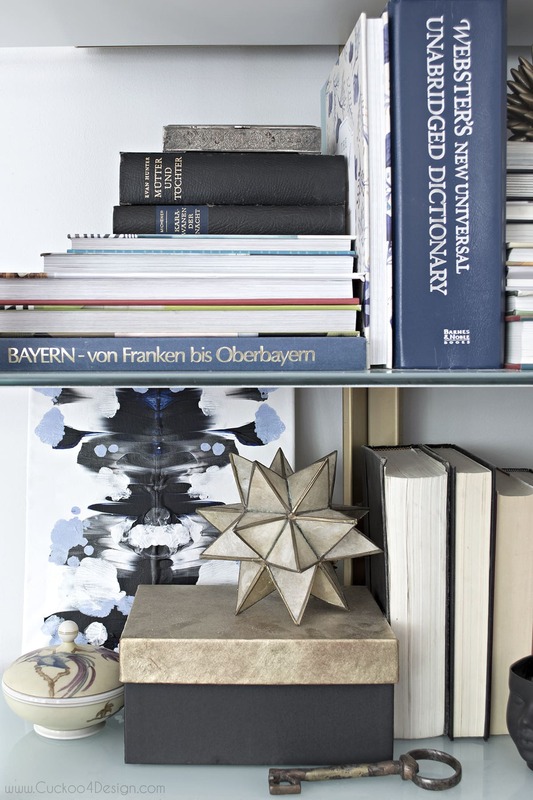 🙂 I love seeing your personal style come out in every detail in your home. Even Lucy and Heidi coordinate with your color scheme. XOXO Miss you! Thanks Diane and I miss you too. I always love your tours Julia! You know how much I LOVE black & white 😉 My favorite is the pretty sitting area by your fireplace. You are always so creative in your DIYs. I actually may try that yummy soup recipe too! Thx for the tour and can’t wait to see you in a couple of weeks in NYC at BHG! Oh thanks Shauna. Can’t wait to see you too and chat. Julia- your home is also such a treat to come visit, but getting soup too! awesome. thanks for sharing your beautiful fall home. 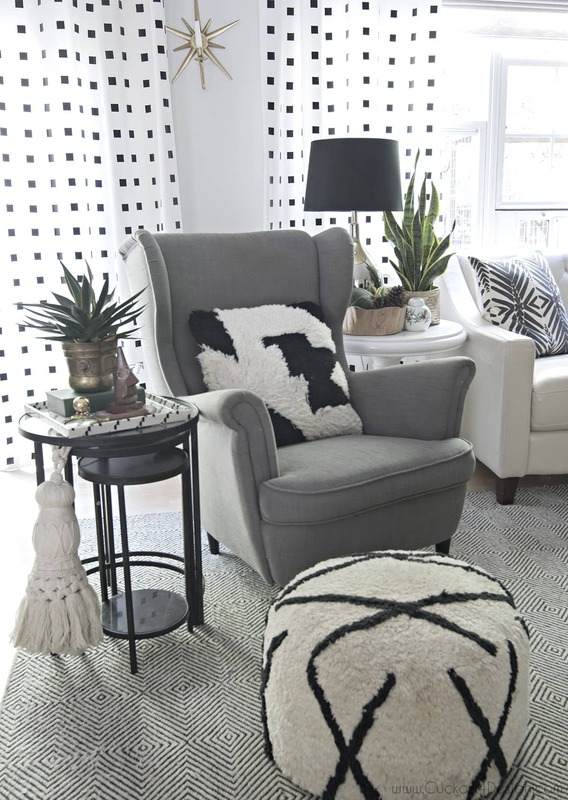 Love your home Julia – the way you layer the rugs is gorgeous. And I need that giant tassel! Thanks Jennifer! My mom wanted me to get rid of the shades ???? I am a minimalistic also or should I say was. I don’t think your room is “cluttered”, rather very homey, inviting and I will take tips from you. Your style and site is one of the best. 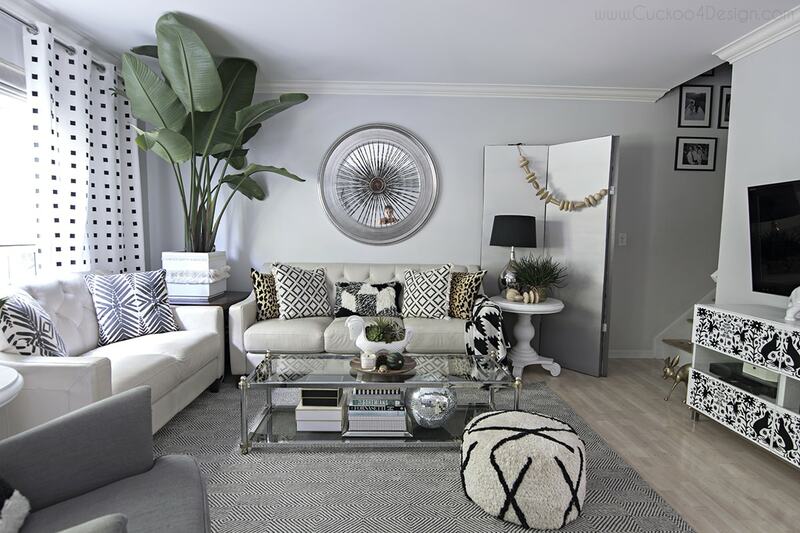 I absolutely LOVE your mirror above the sofa that mimics a wheel base; where can I find it? Keep up the great work; love it, love it, love it!! Oh wow thanks so so much. Your comment just made my day. I found the mirror on clearance and layered a vintage Curtis Jere burst over it which I found at an estate sale. I have found two very similar items which I believe I linked to. Let me check. Such a beautiful tour Julia! And that beaded pendant is to die for!! LOVE it! GORGEOUS, Julia! 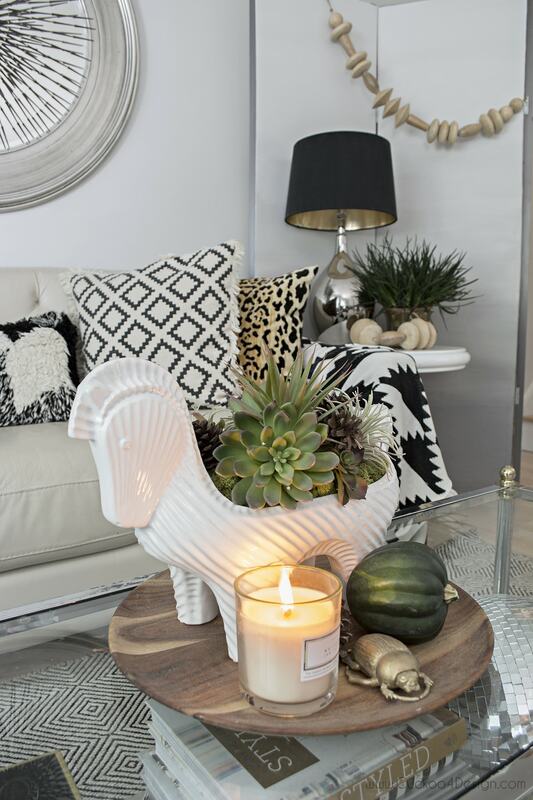 You’ve added fall touches so perfectly! And that plant really has grown by leaps and bounds! I love it! And lastly, that enormous tassel is to die for! Julia – I love your home! Beautiful and thanks for the recipe!! Oh thanks so much Heather. I wish they would sell more of those beads! Julia! Those wood beads!!! Love them! Your curtains are still a fav of mine! Also, thanks for that soup recipe – can’t wait to try that this fall! Thanks for the visit Chelsea! Just beautiful Julia! I love how you have your own unique style that has so much personality and is so detail oriented. Your rooms are a feast for the eyes! So many interesting elements! I can only repeat it every time how sweet you are Lisa. I so appreciate your sweet and genuine comments! Have a great weekend. I love your cornice or topper over the kitchen sink. Did you make it or purchase it? I would be interested in either alternative. Love your house! LOVE tomato soup! 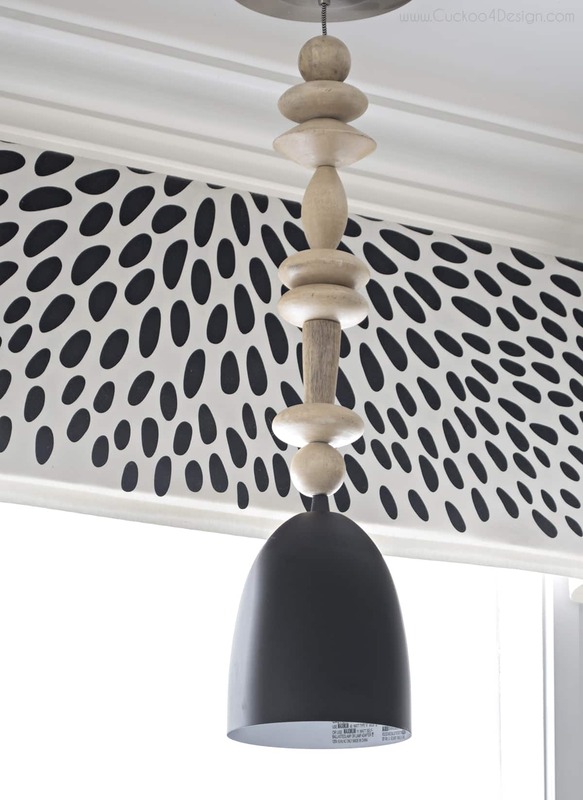 Also love your kitchen and that roman shade. Love the fall touches too. Enjoy the season! I would love to decorate with more plants in my home. You have done a beautiful job of this. I wonder if you might tell the names of these plants (what kind they are? Thank you . 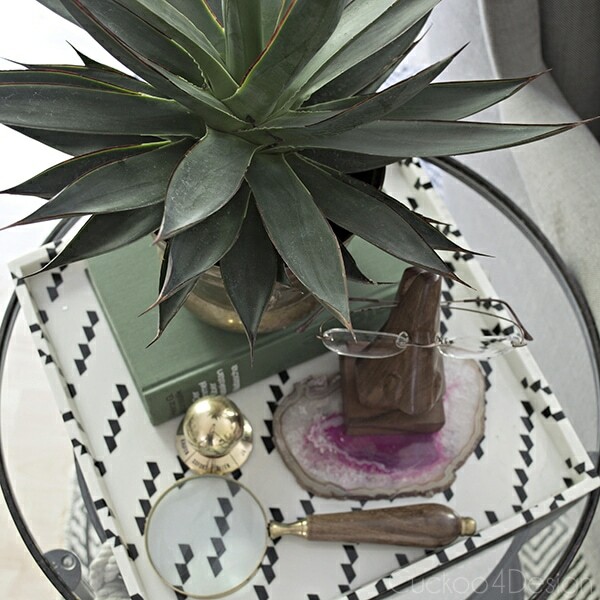 Thanks Kresta, There is a snake plant, an aloe hybrid and the large one is a bird of paradise. Hope that helps.